Laviani's functional and refined Four table has a strict geometric design. 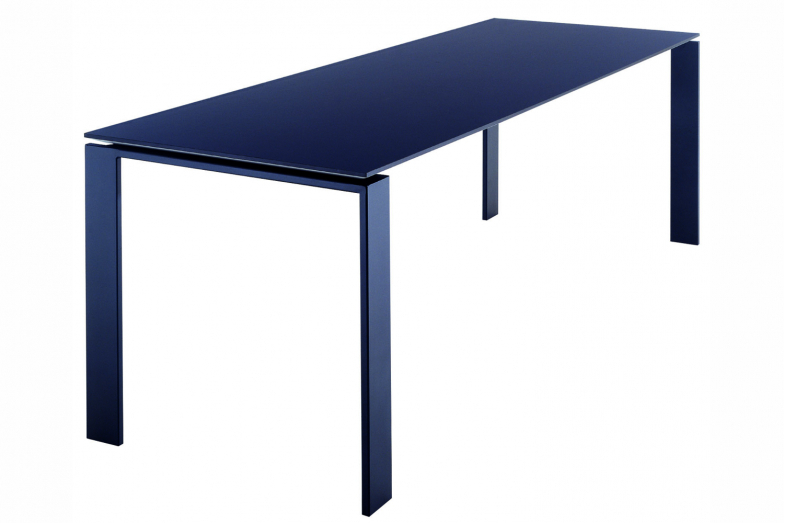 Due to the elegant design solution, the position of the slim table top allows for the convenient positioning of drawers or storage furnishings for computer hardware. Four is available in varnished steel and a 2.5cm thick table top in stratified laminate.